By Melissa Claire uses different types of cookies (which are electronic collections of information stored on a local computer that are used by websites to keep track of visitors and registered users and to relate one computer transaction to a later one) and other methods of uniquely tracking visitors for different purposes. For example, some cookies are “required cookies” which are necessary for By Melissa Claire’s website to work. By Melissa Claire uses “performance cookies” to inform us of a repeat visit. However, these cookies do not tell By Melissa Claire who a visitor is, the visitor’s name, email address, or passwords. By Melissa Claire may also utilize “advertising cookies” to track referrals from internal and external affiliates, as well as advertising campaigns. By Melissa Claire may also use a third party service provider to send emails that you have agreed to receive. Pixel tags and cookies may be used in those email messages to help By Melissa Claire measure the effectiveness of its advertising and to enable By Melissa Claire to provide more focused marketing communications to you. You may set your web browser to notify you when you receive a cookie or change the settings on your web browser to clear or disable cookies. 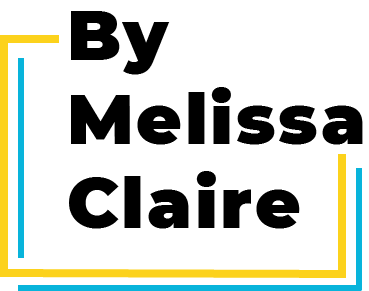 If you decide not to accept cookies, you may not be able to take advantage of all of the features of By Melissa Claire’s website. Additionally, please be aware that if you visit third party websites where you are prompted to log in or that are customizable, you may be required to accept cookies. Cookies do not enable third parties to access any of your personal (i.e., contact) information. However, advertisers and partners may also use their own cookies. By Melissa Claire does not control use of these cookies and are not responsible for information collected through them.